The Devon Clinic was established in 2010 with the aim of bringing together affordable alternative and complementary therapy treatments. Founder, Mr. Chris Fleet, established the clinic after noticing that Torbay lacked a center that supported both complementary and alternative, talking and physical therapies. Over the past eight years, we have had the privilege of working with some of the most talented therapists from all over the world. Today we have over 15 self-employed therapists trained in over 20 disciplines ranging from Acupuncture to Hypnotherapy and Massage to Reiki. Being a CIC or Community Interest Company means that we are a not-for-profit company. This allows us to put any profits back into the community to support those less fortunate. We are currently in the process of applying for full charity status. This will allow us access to further funding enabling us to support those who are unable to afford treatments and therapies. We strongly believe that everyone is entitled to treatment regardless of social standing. Therefore, we host charitable days with donations going to a local charity of our choice. Our freshly decorated treatment rooms offer tranquility and relaxation. 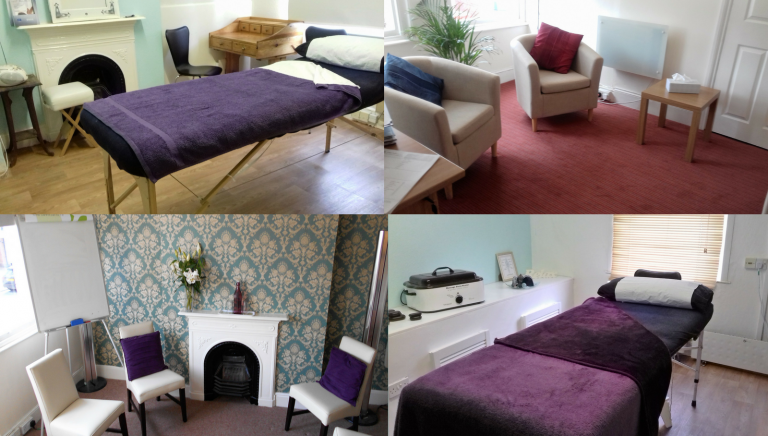 We have 6 treatment rooms for both physical and psychological treatments, as well as a training room.